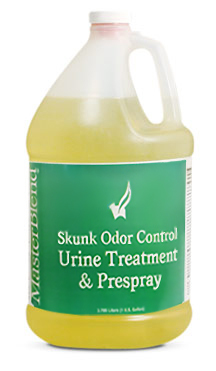 A premium spotter for removing gum, tar, grease, ink, glue oil and other soluble spots. For removing difficult solvent soluble stains like paint, oil, grease, gum, ink, tar, asphalt, wax, shoe polish, nail polish, etc. 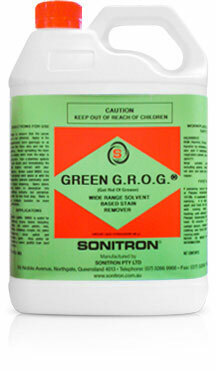 Sonitron Green G.R.O.G is a green environmentally friendly dry solvent that will remove a wide range of oil and hydrocarbon based stains. In addition to grease and oil it is effective on gum, adhesives, lipstick and some paints and inks. 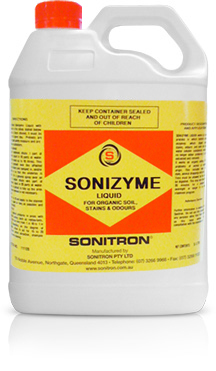 It can be applied to fabrics such as upholstery and drapes by prespray as a soil preconditioner before cleaning. A rapidly drying solvent spotter for removal of solvent soluble stains like grease, oil, tar, gum, latex adhesive, lipstick, shoe polish, ink, nail polish, etc. Removes and deodorizes pet stains and food spills. 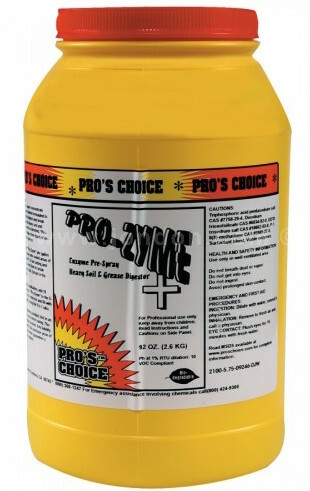 This unique formula removes stubborn food, beverage, and pet stains from carpet, upholstery, laundry, and hard surfaces.